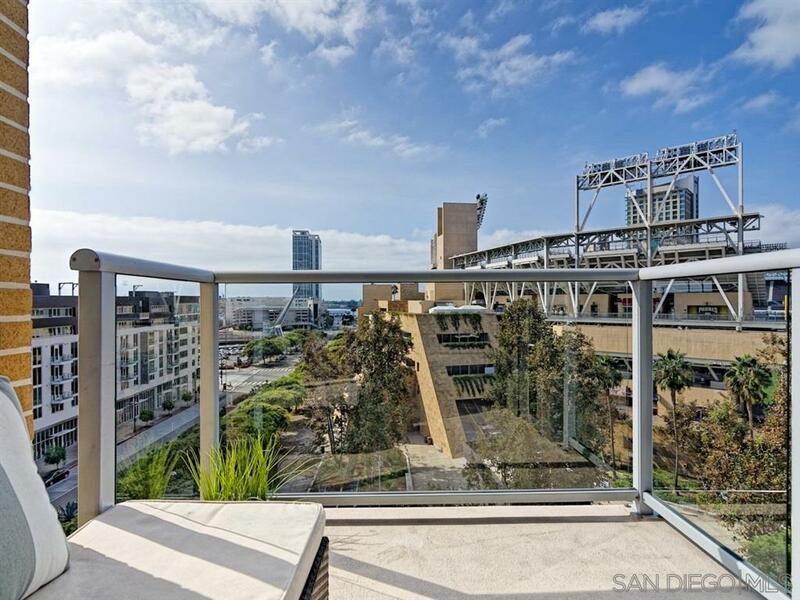 Enjoy envious views of the bay, city and Petco Park as sun and light soak in through the tall windows of this gorgeous southwestern facing 2 bedroom, 2 bathroom condo (with 2 SIDE BY SIDE PARKING SPACES). This coveted top floor corner unit is well appointed with a fresh coat of paint throughout, Brazilian cherry wood floors, and gourmet modern kitchen with a new microwave and stove. There's no one above you but everything the city has to offer in front of you, walking distance to everything.